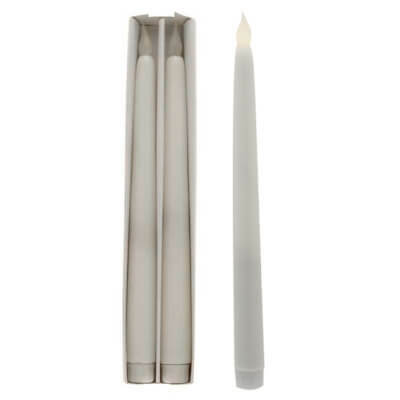 White LED Taper Candles (Pack of 2). The candles measure 27.5cm tall x 2.47cm diameter. 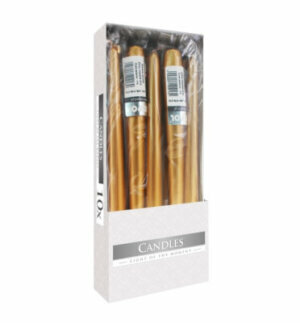 Each candle takes 2 AAA batteries – batteries not supplied. 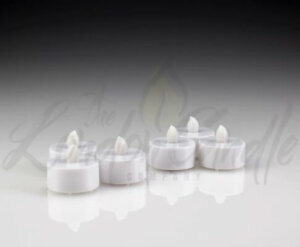 White LED Taper Candles. 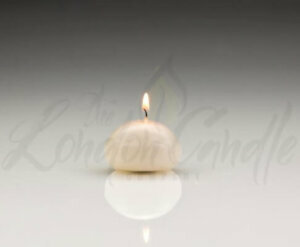 The candles measure 27.5cm tall x 2.47cm diameter. Each candle takes 2 AAA batteries – not supplied.